If you file a Chapter 13 Bankruptcy, you can always keep your property. If you file a Chapter 7 Bankruptcy, the United States bankruptcy code allows you to keep your house, keep your car, and keep your property so long as your equity in that property is below certain thresholds at the time the bankruptcy is filed. Equity is the value of the property minus the amount of any loans secured against it. The amount of equity you can have and still keep your property depends on whether you file your bankruptcy in Kentucky or Ohio. 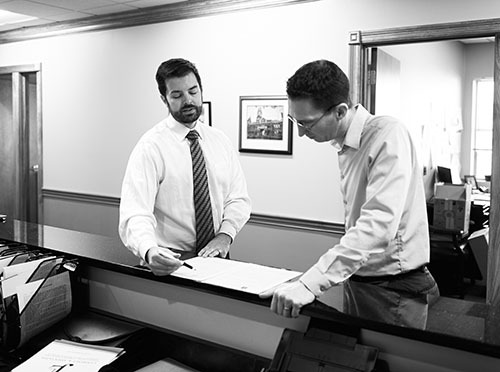 A Northern Kentucky property exemptions attorney from can help you through this complicated process. Kentucky allows you to use federal exemptions to keep your property. This is good, because federal exemptions are usually much more forgiving than state exemptions. Kentucky allows you to use Kentucky state exemptions as well, but they are not as good as the federal exemptions and are rarely used. You can read the entire section of the federal bankruptcy code that gives us property exemptions, 11 U.S.C. 522, here. The exemption levels are adjusted every three years. As a rule of thumb, if you file bankruptcy in Kentucky you usually only have to worry about protecting your home, your car, or any “luxury” items you might own (such as a nice boat). The federal exemptions are large enough that it is rare for anything else to be in danger. The attorneys at Lawrence & Associates assess your equity in your property for you, and report your options to keep your house, car, and other property to you before filing. For example, under the federal exemptions you can keep your home as long as your equity in the house and land is less than $22,975.00 (and married couples can keep their home with double that exemption). So a married couple filing bankruptcy with a $200,000.00 house and a $175,000.00 mortgage can keep the house since their equity ($25,000.00) is less than the total exemption ($35,950.00). Figuring out how to value the home, car, or other property appropriately is sometimes a matter of controversy, but your attorney will be able to affix all values before filing. Ohio requires that you use the state exemptions, but does not allow federal exemptions. This can be good or bad, since Ohio has a much better exemption for your home, but lesser exemptions in other areas. Other than the change in exemption levels, the analysis works basically the same when you file bankruptcy in Ohio as it does when you file bankruptcy in Kentucky. Unfortunately, because Ohio’s exemptions are so much worse than the federal exemptions (again, other than the exemption for your home), many people who file bankruptcy in Ohio have more trouble keeping their car, or other property. How Can I Be Sure I’ll Keep My Car or House If I File Bankruptcy? The only way to be absolutely sure is to hire the services of a good bankruptcy attorney that knows how to save your home or save your car if you file bankruptcy. At Lawrence & Associates, we save homes and cars every day for people just like you.